According to a recent study done by the Kauffman Foundation, 33.2 percent of the cofounders of tech firms founded by immigrants in the US are Indians (since 2006). 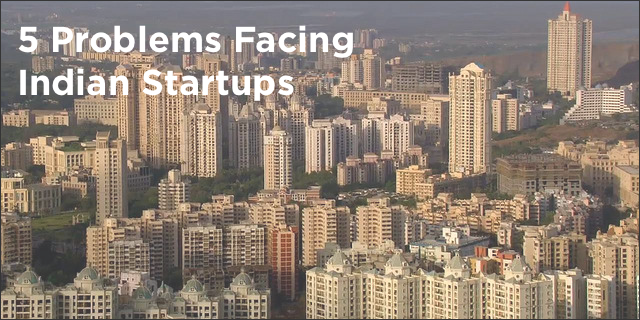 Despite such strong figures, when it comes to building a startup in India, most Indians are reluctant. The reason is that the road to building a startup in India is filled with hurdles and challenges. Let’s take a look at the five main impediments on the Indian startup route. The common Indian mindset says that getting a job with a big brand improves career growth more than a startup. Also, job security plays a vital role in decision making. Working at larger organizations is more secure and socially valuable than working with startups. It is not uncommon to see people working in startups being pressured from home to take up better jobs with larger organizations. Moreover, employee benefits are also minimal in startups when compared to big corporations. Hence, getting the right talent becomes challenging. To move your startup idea in the right direction, you need a good mentor. When it comes to mentorship and guidance to propel wannabe entrepreneurs – something TechStars in the US provides – India has far fewer options. However, in the last few years, we have seen them springing up. A recent study done by the India-based research firm Venture Intelligence says 64 startups have together received nearly $242 million of venture capital funding. But industry experts claim this number is negligible, and there is a need to increase it tenfold to sustain early-stage risk capital. Taking into consideration the high interest rates and lengthy processes involved in getting funded, debt as a source of funding is also not a viable option. Again, unlike the scenario in the US, personal funding becomes difficult as people are not financially stable here and have family responsibilities to take on – which demands the immediate revenue that can come from a job. It is hard to break into the Indian market with a consumer product. People are substantially price-sensitive, and competition is fierce. Therefore, selling premium products becomes a hard task. Moreover, when a startup aims to do a B2B sale, the decision making process to buy the product is very slow and may take several months. For example, for selling software to banks and government, or larger organizations, you may send the quote, keep following up for months, and then end up with a “no thanks.” This primarily happens because of poor decision making processes in companies and a “playing it safe” attitude. Hence, the risk factor remains. According to the latest tax policy, startup firms are mandated to pay income tax on the premium they have charged over their fair market, while selling shares to unregistered investors, including private equity and venture funds. Though this aims to stop money laundering, analysts say it will affect the investment scenario for startups. Moreover, to register your startup takes a minimum of two to six months. Although the road to launch and get started with a startup company is difficult, things are progressing interestingly. Passionate and ambitious people are finding their inroads to their entrepreneurial inner calling and working their way around hurdles to create success for themselves. Photo courtesy Flickr user <DEEPAK GUPTA>. Guest author Debarati Mukherjee is an accomplished blogger, journalist, and communicator, having over five years of media writing experience. She has written on diverse subjects ranging from entrepreneurship and small businesses to human rights, beauty, fashion, and fitness. There are more than 100 articles credited to her name. Presently, she is working as a communications specialist with Idyllic Software, a Ruby on Rails consulting company which aims to help startups grow up in business. You can follow her at Twitter or LinkedIn or write to her: debarati@idyllic-software.com. Last week it emerged that 2020 Presidential candidate Beto O'Rourke used to be a member of the Cult of the Dead Cow hacktivist group. While this might alarm some, especially with the insuation of law-breaking, it might actually make him the perfect twenty-first century President. YouTube has just announced that it is disabling the commenting function for any videos on its platform that feature minors. The decision follows reports that that the massive video sharing site has failed to protect children's safety online. Tech Cocktail is a literal "cocktail" of tech, startup, gadget, product and people news. If you are interested in writing for Tech Cocktail please apply here.